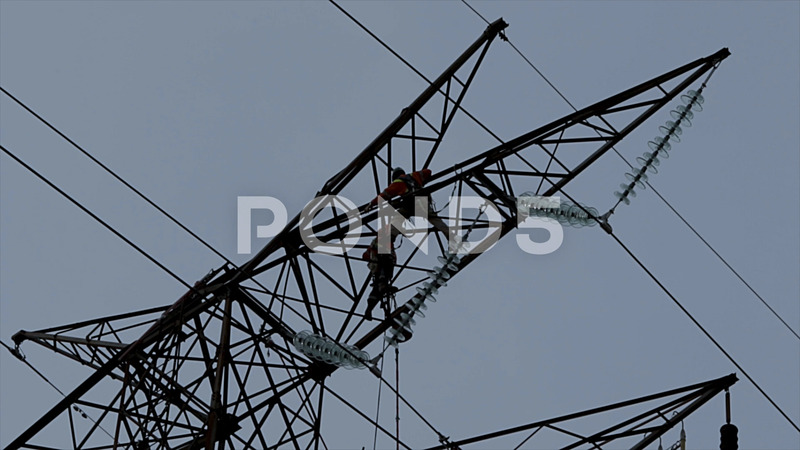 Description: Telecommunication tower antenna with people in silhouette climbing and repairing it. Modern technology and connectivity concept. Repairmen fixing the power grid. High voltage transmission tower.